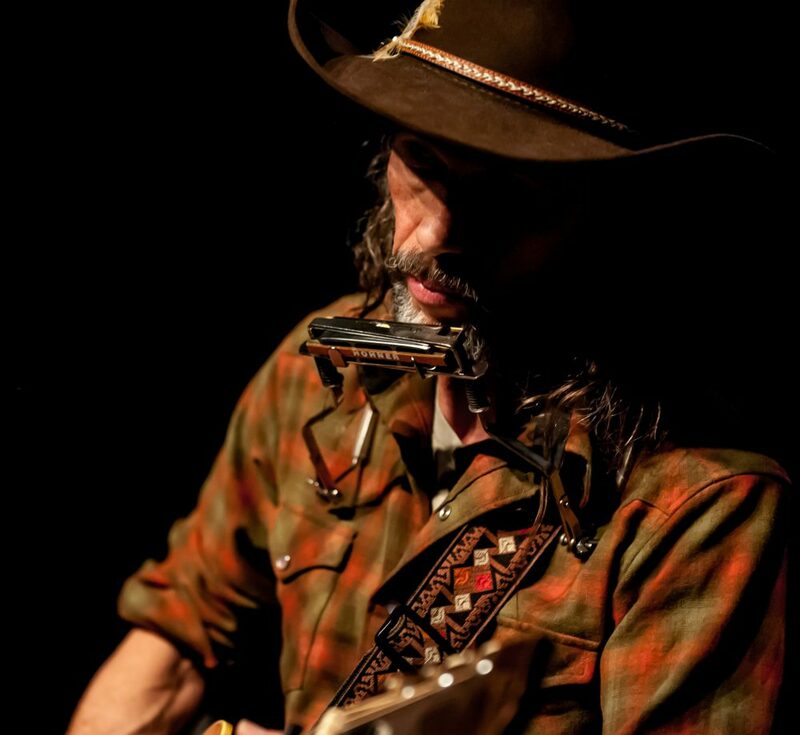 “DOLOROSA” The new Bill Mallonee & The High Desert Freaks Band download album liner notes. 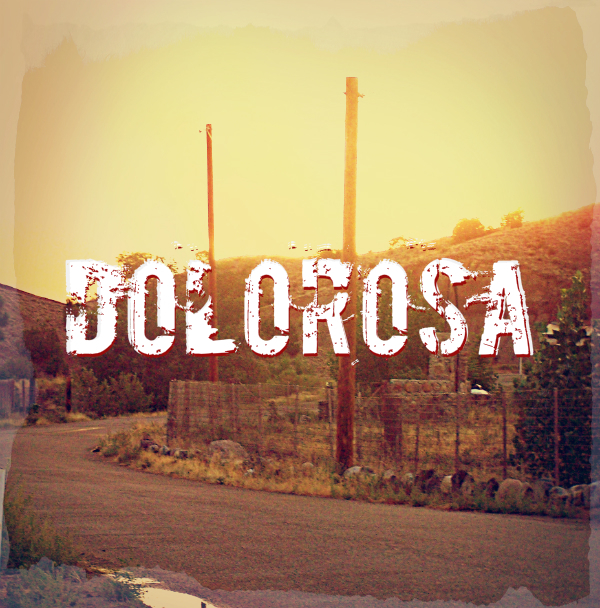 Listen to the entire album at: DOLOROSA. The SongStoryMusicMeaningReality is an absolute obsession for me. “She”(the album) is reflective, melancholic, but sober, sturdy & strong. An Autumnal venture, to be sure. The album is over an hour long. Lots to listen to and think about. A lot to digest, folks. I know we live in an attention challenged culture. But, I’ve got some brilliant fans who still listen to music as if it mattered. I am always been deeply appreciative of your attentive ear to the music & lyrics. I won’t let you down. Promise. Maybe it’s my way of saying “Kilroy was here.” Painted on a crumbling vacant church’s steeple. This album draws it’s bearings & inspirations in equal parts from 2 points of reference. One is the vernacular meaning of the word “dolorosa” & the other is from the Via Dolorosa. ~ In a mournful or plaintive manner. Used chiefly as a direction. First thing I noticed was her “finish.” It was worn clean off the neck, non-existent in most places. An indicator of a well-played & well-loved guitar. The wearing was even up and down the neck. Rhythm playing & more solo oriented gestures given equal weight. Again, a sign of a well-versed player. The fella who sold it to me said his father owned it and played the guitar quite well. Thus, a great “find” became an even greater honor. The year? 1947. A Gibson ES-125. It originally belonged to Mr. Shepherd who started the world famous Chick Piano in Athens, Ga. back in the day. His son, Van, was kind enough to sell it to me a few months back. It has been a treasure of inspiration. I used it all over “Dolorosa.” (Yes, I leaned heavily on my beloved George Harrison Rickenbaker, as well. They were good friends, the Gibson ES-125 & the Ric. But the germination of all the songs started on the Gibson ES. I let the strings go dull, “thuddy,” dusty & heavy. You write a different song at 50 than you do at 25. I like to think you write a better one. When the illusions & lame promises of rock & roll wear off one starts the untidy (often sad) ritual of unpacking one’s own baggage and seeing if you really have anything to say. It’s a “voice,” often collective and unified. with those old prophets and troubadours. Their words, their “prayers, their way of delivering. their “take” on things. It’s one helluva chorus to give ear to. How did they give nomenclature to the truths that cascade in rivers with us? How were they able to enshrine those same truths we so often close our ears to. Pain, suffering deprivation, mortality. Why were they able to listen to the voices on the highways within and those on the highways they trod? Here’s the kicker: They did it without propaganda and manipulation. They did it without Elmer Gantry-ing it. They simply said what needed to be said…and our hearts nodded. That’s some of the feel and spirit, I’ve always struggled to make plain in my work. It’s what I’m drawn to into works of others. I do have a feeling that dogs me. And it probably dictated the path the songs here on Dolorosa took and on the last few albums. I wrote them as they “showed up,” and as the lyrics pushed to the surface. I edited very little. Songwriting has something akin to absolution & (perhaps) exorcism to it. At the very least, one is engaged in endeavor od “naming” something heretofore intangible, buried, unknown. Nomenclature. At it’s best that’s the reason I do it and have done so for 22 years. Call it an effort to keep the demons at arm’s length and not run to the liquor cabinet so much. You look at your life. You inventory the things done & things left undone. And then you look up at the expanse of stars. The quiet of the high deserts in New Mexico drives it all home. Does anyone watch over us? Does it listen to our cries? Does it respond? I have always so desperately wanted it to be so. Always felt I was the best candidate for it. It depresses me that things aren’t as obvious as i’d like them to be. I wish they’d check in once in a spell; just to say how they’re doing; tell me how it is there. It doesn’t seem like a lot to ask. Me? I’m glad for those for whom “religious questions” are resolved with facile-ness & proof-text ease. There are those who toss out well-meaning answers with a smugness that lacks compassion. For me faith and unbelief have always slept in the same bed for as long as I can remember. One of my heroes, Martin Luther, was in some ways was the first “modern man,” (see Eric Erikson’s “Young Man Luther); Luther was always staring down the devil; that ‘entity” that meant him nothing but harm & confusion. And the tool Luther knew the devil used most effectively against us was that of guilt & despair. Sure, artists “flirt” with such states of the heart. Often, they flirt & anesthetize themselves at the same time. And it’s good to get beneath the skin of what our brothers & sisters feel when the world seems a meaningless and a cold void, absent of God. One can’t live “with” or “in” the darkness forever. And (by God) when you yourself finally sense the weight of such futility & sadness you realize that it’s nothing to dally with either. You “counter,” you pray, you wrestle & cling to whatever Light & Love & Compassion you can find. In my experience that Beacon sometimes even shows his Face. Albums can be Light, Love & Compassion. And as to Fear, whether it’s driven by “bad religion” or some deep personal anguish? Courage again. You do what you can to cast It aside. Fear and Distrust: Are we not all afflicted with that same ancient disease? Celebrate your “you-ness,” friends. Celebrate it WITH friends. Are we not all included in the same Grace & whole-ness a suffering God is waiting to bestow? The harder edges & vicissitudes of life have led me here. 25 years ago, I arrived as a young hungry songwriter. I left as a blessed man. Somehow it all forces you to your knees, literally and figuratively. You learn to pray without ceasing. You learn to walk a way of being thankful. You learn to “fight the good fight.” To stay at your post. And you start, (however stumbling) to practice Compassion and extend Mercy to all you fellow travelers. Grace & Mercy & Peace. I’ll bet on those three…forever.